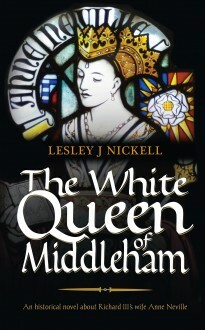 For Anne Neville, a timid and delicate child, ignored by her mother, patronised by her elder sister and bullied by her formidable father Warwick the Kingmaker, her childhood friend Richard Plantagenet becomes a source of strength throughout her life. As she moves abruptly from castle to castle, from England to France, with Warwick’s changing fortunes in the turbulent Wars of the Roses, Anne is a pawn in the dangerous games of political intrigue that she struggles to understand. The third son of the ambitious Duke of York, later King Richard III, is a hero in the eyes of the shy and bewildered Anne, and the key to her understanding of the great events happening around her. Their love, almost wrecked by the feud of York and Lancaster, culminates in great happiness and the last Plantagenet reign in England.